A mouse lived in a windmill…. When I was single and thinking about the list of qualities I wanted in my ideal man, near the top of the list was spontaneity. I was seeing someone for a while before we met, who would quite happily just take off somewhere on a whim, because we hadn’t been there before, and I loved that. So when The Man casually asked if I fancied a trip to Amsterdam last month, I squealed in delight and nodded my head vigorously. I’ve been to Amsterdam twice now. It’s rained both times. The first time was in November so I kind of expected it. But in July? I’m just glad I took a brolly. The entire weekend was spent dodging from café to bar to restaurant in between downpours. We’re not talking a bit of rain, or an occasional shower, either. I’m talking about full on, relentless and torrential rain with occasional interludes of thunder and lightning. We walked, and walked and walked. Amsterdam is a lot bigger than I’d remembered it and the potential for getting very lost was immense. We did get lost a few times, but luckily The Man is a cheery sort of guy who doesn’t get stroppy with me when I say for the umpteenth time, “I think it must be down here.” We always managed to find our way back to the hotel somehow! I’m massively impressed with Amsterdam trams, too. They were still running every ten minutes at midnight, handy for nights out at the Leidseplein. Luckily for me, The Man finds my mini-tantrums quite endearing, so we managed to have a really good time, and laugh about most of the soakings we endured. 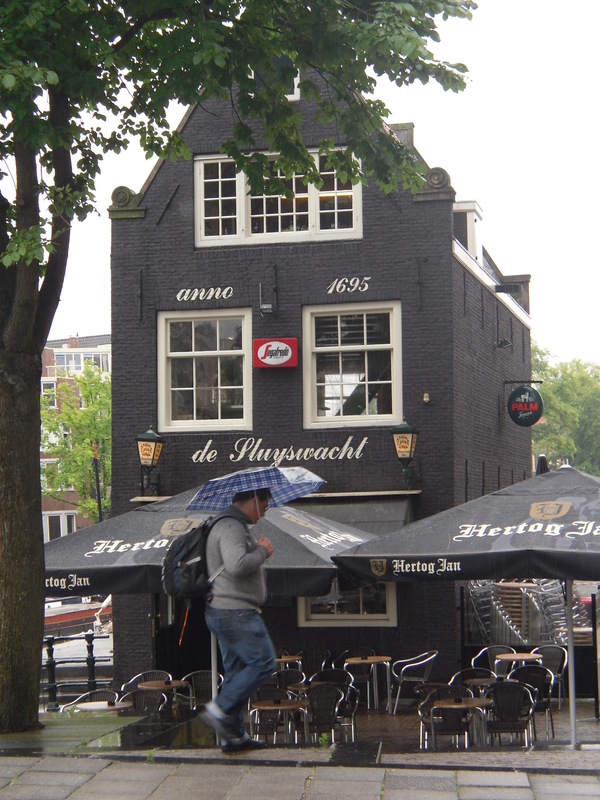 We both loved Amsterdam – the mad roller skating men in suits, buskers that ranged from the sublime double bass player jumping around like a loon and still keeping time, to the ridiculous woman accordion player who played the same note repeatedly for about an hour. The atmosphere is chilled and relaxed (probably something to do with the aromas emanating from the coffee shops) and hopefully we’ll go back again…when it’s dry! This entry was posted on August 14, 2012 by inspiredessex in Chatty, Essex and the Not-so-Single Girl, What we're up to and tagged amsterdam, chatty, chelmsford dating, essex holidays, Essex Magazine.